March is Brain Injury Awareness Month. According to the Missouri Brain Injury Association, someone sustains a brain injury every 18 seconds! 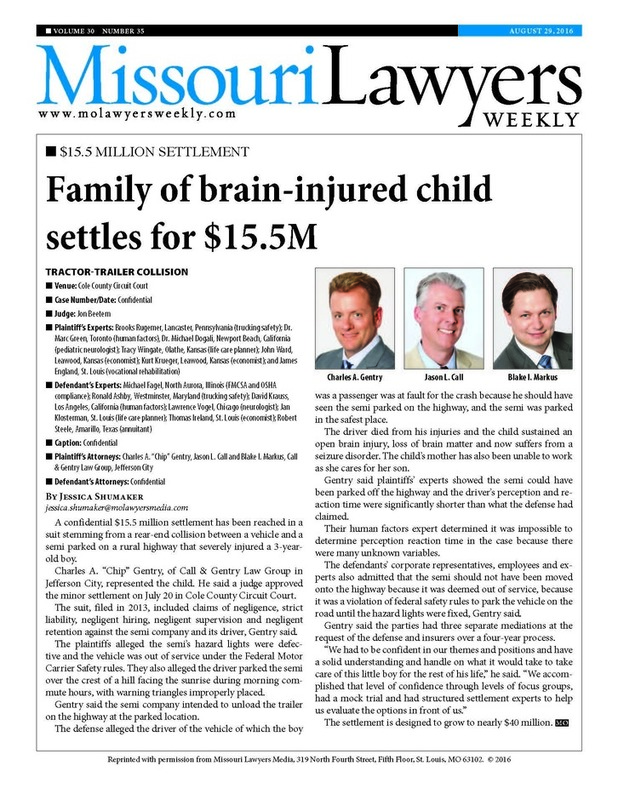 In Missouri, an estimated 118,000 individuals are living with a long-term disability due to brain injury. In an instant, your life or your loved one's life can be catastrophically altered. Perhaps forever. People who suffer from brain injuries may suffer from physical, visual or comprehension disabilities. Well beyond the acute injuries to a person's brain tissue, other injuries, damages, and suffering often encompass so much more. 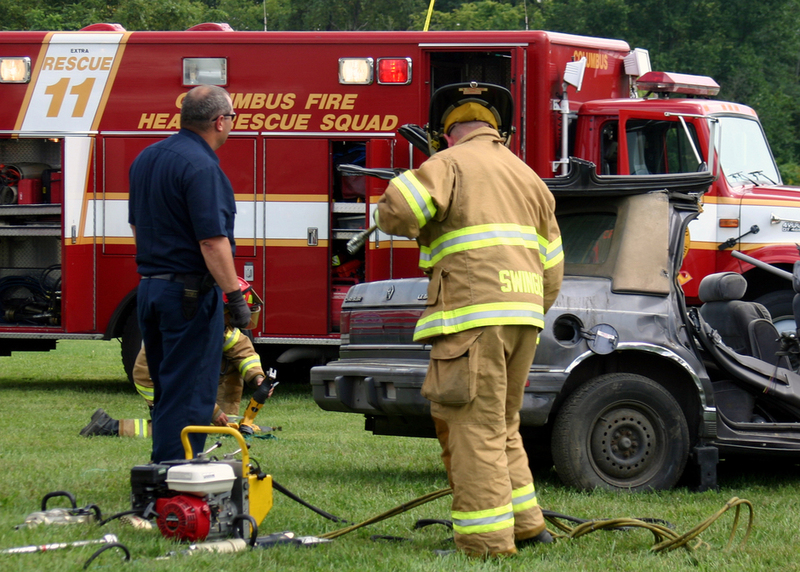 When a person suffers a brain injury due to a car wreck, semi truck wreck, or from another's negligence, they may suffer substantial damage to their frontal lobe, temporal lobe, and parietal lobe, causing cognitive impairments, communication impairments, emotional impairments, behavioral impairments, and social impairments. Research has demonstrated that recovery can, with effort, be a life-long exercise. Cognitive impairments, by themselves or in combination, cause many problems in daily life. An individual's short-term memory, long-term memory, retrograde memory, and anterograde memory are all affected. The most debilitating cognitive complaint is a lack of awareness of deficits. Without any such realization, a survivor sees no reason to work hard to recover his cognitive abilities and, thereby, remains seriously impaired. He may become belligerent as he is unable to understand why his life has become so difficult. A brain injured person may also have substantial challenges with attention, comprehension, concentration, decision making, initiation, judgment, self-monitoring, spatial orientation, language comprehension, safety awareness, information processing, and learning new material. His executive function abilities may be substantially disturbed due to impairment in analyzing, prioritizing, planning, sequencing, organizing, directing, multi-tasking, monitoring, reasoning, evaluating, trouble-shooting, and problem solving. A brain injured person may have physical and cognitive injuries impairing his ability to communicate. He has slurred speech, speaks too slowly, speaks too softly, has impaired sight, and impaired verbal fluency. As a result of his injuries, an injured person may find it difficult to understand words, have difficulty expressing ideas, and have poor listening attention. As a brain injured person recognizes the extent of his impairments, he will become vulnerable to a wide range of debilitating emotions. These emotions can be treated, with full or partial effectiveness through individual or group therapy, peer counseling, help from a support group, and/or medication. A person may suffer from and will continue to suffer from anger, anxiety, apathy, confusion, denial, depression, egocentricity, embarrassment, frustration, irritability, mood swings, paranoia, post-traumatic stress, psychosomatic pain, restlessness, self-esteem loss, self-hatred, and stubbornness. As with emotional complaints, behavioral problems result from a combination of direct and indirect causes. Damage to the area of the brain that houses self-control and social awareness may rob a person of the filter that keeps his behavior consistent with socially accepted norms. Behavioral complaints may interfere with rehabilitation range from simply annoying behavior to the threat of bodily harm. Behavioral limitations may be exhibited through clinging, complaining, crying excessively, defensiveness, destructiveness, disinhibition, immaturity, impulsivity, inflexibility, intolerance, over reaction, paranoia, physical aggression, rebelliousness, selfishness, under reaction, and withdrawal. Extreme behavior impairments require a highly structured treatment by professionals in an inpatient setting. Probably the most common social complaint arising from a serious brain injury is loneliness. It’s easy to imagine how a mix of physical, cognitive, communication, emotional, and behavioral problems can scare away friends and frustrate finding new ones. This is particularly true among young men and women entering adulthood. Their friends are quick to move on when their pal can’t keep up with them. Many survivors rely heavily on their families to satisfy their social needs. When a brain injured person's immediate family pass away, they are faced with the daunting reality of relying only on professionals to take care of them. Brain injury also is cruel to romantic relationships, especially newer ones. Some survivors become self-centered and unable to recognize and respond to the needs of their partners. Some partners are unwilling to adjust to the transformation in their survivors. In a culture influenced heavily by the beauty and witty demeanor of television and film stars, many people discount the possibility of becoming friends with someone who has multiple impairments. This unfortunate bias limits a survivor’s chance to meet new people, especially those looking for romance. Social barriers are visible physical impairments which make some people uncomfortable, fatigue that limits social activities, difficulty finding words and conversation, difficulty interpreting customary social views, likely unemployment, which reduces social opportunities, a likely inability to drive or use public transportation, which keeps survivors at home, emotional problems such as anger, apathy, denial, depression, egocentricity, and paranoia, and behavioral problems such as aggression, complaining, destructiveness, immaturity, selfishness, and withdrawal. The inability to perform those functions which give us pleasure in life, also known as the loss of enjoyment of life, are harms that must be compensated for after someone suffers a brain injury due to someone's negligence. Typically, after a serious brain injury, an injured person is unable to perform any functions which gives any pleasure in life. After years of treatment, people can regain some functions which give some pleasure in life such as minimal communication. However, physical disabilities may remain profound and overwhelming. A brain injured person may suffer from paralysis, visual challenges, spasticity, and other complications. Spasticity is a condition of abnormality increased muscle tone or the shortening and/or tightening of soft tissue muscles, tendons, and ligaments. A common symptom of serious brain injuries, spasticity is caused by damage to a particular part of the brain or tears in the bundles of nerves around the brain stem that control movement and sensation. To appreciate what a spastic muscle feels like, concentrate on one of your muscles. Tense this muscle as if it’s being worked to its limit. Then, try to image how you would go about your daily activities with this muscle permanently contracted. The principal characteristics of spasticity may be extreme muscle tightness and spasms, physical deformity or abnormal posture, restrictive movements, pain, at times extreme, potentially leading to secondary spasticity, potential dislocation of a joint or organ, skin ulcers, and functional limitations such as the inability to use his right hand and right leg in daily activities, difficulty with transfers, such as from a car to a wheelchair, impaired gait, and impaired speech. The severity of spasticity, which can worsen with time, ranges from mild muscle stiffness to painful, crippling, uncontrollable muscle spasms. Spasticity can be a terrible problem, sometimes interfering with a person's ability to swallow, eat, speak, and eliminate waste. It can also be a major impediment to rehabilitation. Cold weather, fatigue, and multi-tasking can exacerbate his spasms. In order to prevent the further shortening of muscles and to reduce the severity of symptoms, daily exercise, including sustained stretching and range of motion movements, orthotics and braces, and electrical muscle stimulation and injective medication such as Botox may be necessary. A brain injured person may be covered with horrific scars as a result of the initial injury and resultant surgeries. An injured person may have such profound scars, that their head, face, and other parts of their body are disfigured, misshapen, and noticeably different than their peers. Due to physical limitations, parts of their body may atrophy, and be substantially smaller and weaker on one side compared to the other. They may wear hats and sunglasses to help mask their disfigurements and limit the stares and whispers from passerby's. With 1.7 million traumatic brain injuries occurring each year, it is critical that those injured due to someone's negligence obtain a meaningful recovery to balance the harms suffered. Healthcare costs over a lifetime of therapy and treatment can skyrocket into the millions of dollars. If you or your loved one has suffered a brain injury as a result of a car wreck, semi truck wreck, work injury, or otherwise, the experienced brain injury attorneys at Call & Gentry Law Group are ready to help. We provide free consultation and are available 24/7. 573-644-6090. www.callgentry.com.